As a musician - as a guitarist, drummer, singer or DJ - you are more likely to suffer hearing loss because you are often exposed to loud music. Your hearing is your most important instrument. Loss of hearing prevents you from exercising your profession or pursuing your passion for music. That is why a good protection of your ears is essential for rehearsals, performances and concerts. Designed specifically for musicians and DJs, the MusicSafePro is the best solution with three interchangeable filter sets to help you determine your own attenuation. 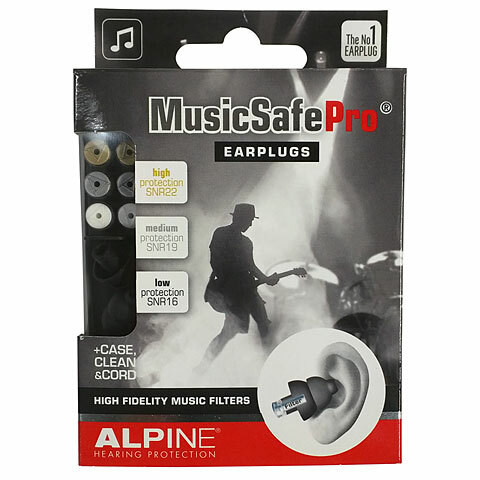 The MusicSafe Pro is the only hearing protection for musicians with three different interchangeable filter sets for low, average and high attenuation. 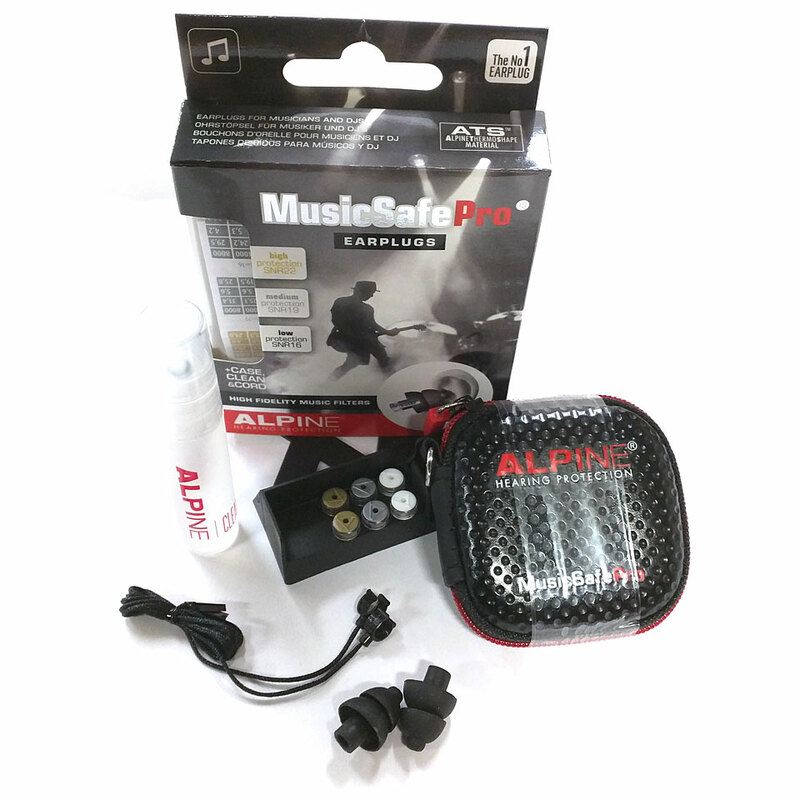 These special AlpineAcousticFilters guarantee optimum protection without loss of sound quality. Depending on the instrument you are playing, your position on the stage, or the type of music you play, you always have the choice and you can opt for the attenuation that best suits your purposes. The earplugs with special music filters are an open system, which gives you no feeling of being closed in. The MusicSafe Pro earplugs are made of durable and flexible AlpineThermoShape material. The heat of the body adapts the shape to the auditory canal. This makes the MusicSafe Pro very comfortable. 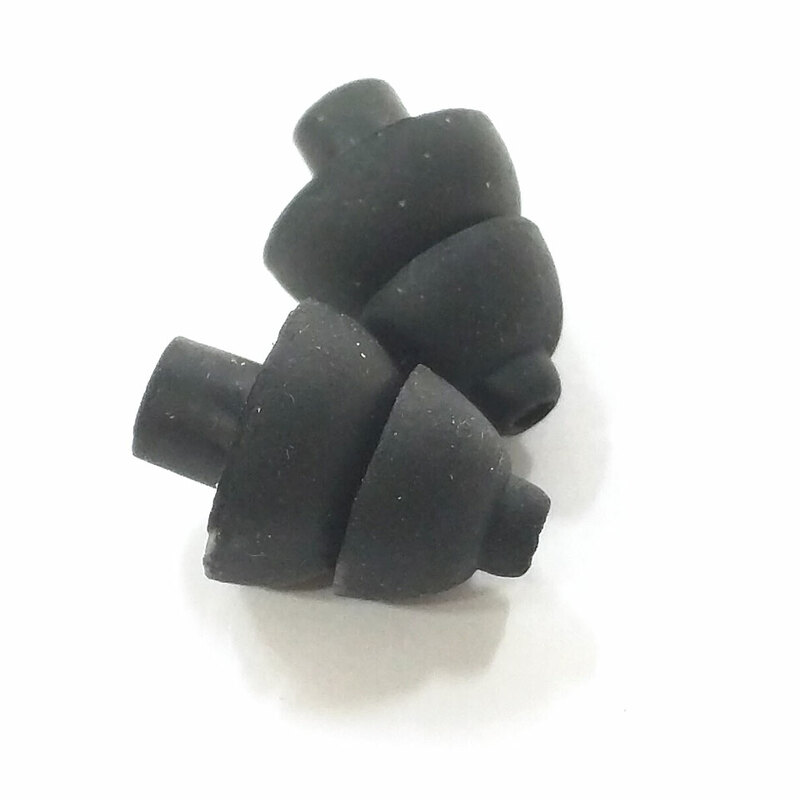 If your earplugs are too big, you can simply make them to fit. The safe limit on which the hearing may be exposed is 80 decibels. Regular noises above 80 decibels result in irreparable hearing loss. Official studies confirm that the limit of 80 decibels is quickly exceeded. Thus a noise level of 120 dB can be measured at a concert. For rock musicians, the harmful sounds come mainly from the drums and the amplifiers, while the classical musicians have their own musical instrument and that of the other influence on the hearing. This item was given an average rating of 4.6 out of 5 stars. No review about this product has been written yet. 10 ratings exist without a text or these reviews are written in another language. · Show all articles of the brand Alpine.